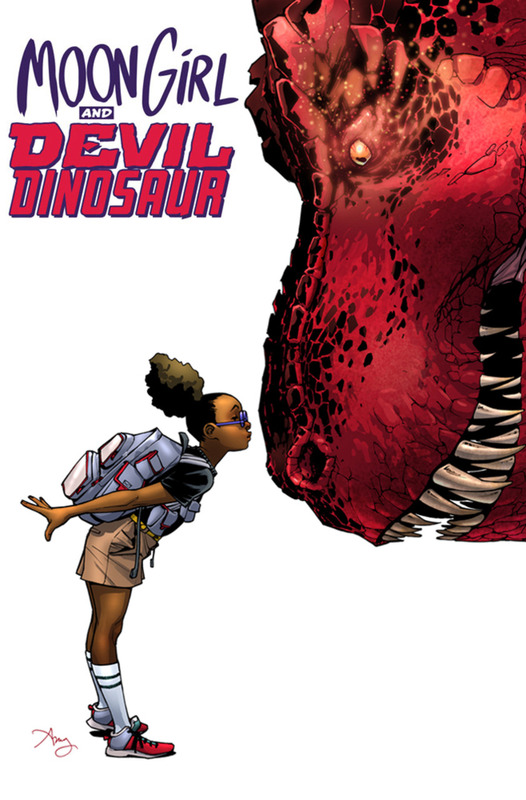 Fangirls, my eyes have been wide for Moon Girl and Devil Dinosaur since I first saw promotions for it. Sadly, since I have not been visiting the comic shop as often as I would like, I hadn’t seen anything since the promotions (which means I totally forgot that it existed, yikes). But I went in a couple weeks ago, saw the first trade, and lost my mind. Of course I want to read about a rad lady and her dino friend! Who wouldn’t? So of course I grabbed it. As soon as I got back that night, I started reading. BFF is the first collected trade paperback of the comic, show casing the first 6 issues; meaning a quicker read with fewer interruptions and easier to power through. I fell in love. Moon Girl is a bright young lady with her eyes on the sky; she worries that she will become a mutant because of something in her blood, and works hard to keep her (physical)self from changing, but is so bright that she stands out despite her efforts. 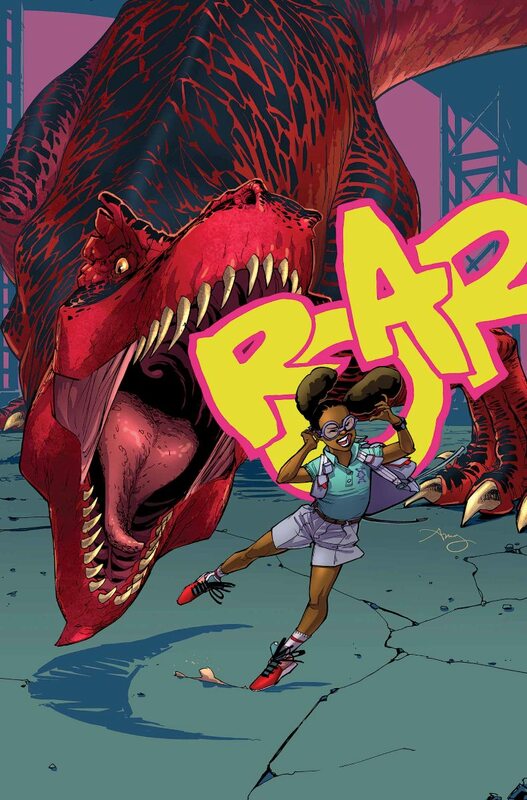 Devil Dinosaur is a T-Rex who was accidentally sent to the future by some early hominids. They meet, and it’s amazing. The story takes place in New York City, is produced by Marvel, and is beyond amazing. Amy Reeder and Brandon Montclair’s story borderlines perfection as Natacha Bustos absolutely kills the art. I don’t have any words good enough for the feelings I have for this book and this team! There’s honestly nothing like it, and I will be picking up the subsequent issues when I have the time and money. Moving makes loving comics a bit difficult right now, but I’m doing my best to stay (mildly) in the loop. But this is like nothing else, and I can’t help but swoon at the idea of more issues. Thanks, Marvel, for letting this happen!